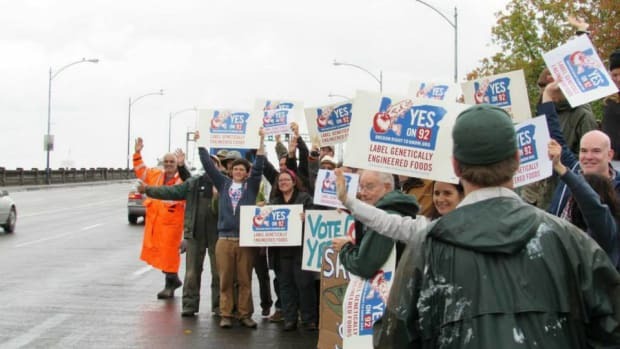 While we wait with bated breath for Washington officials to count the last of the votes for I-522, the ballot measure that would make GMO labeling mandatory in the state, another sinister tale has emerged. 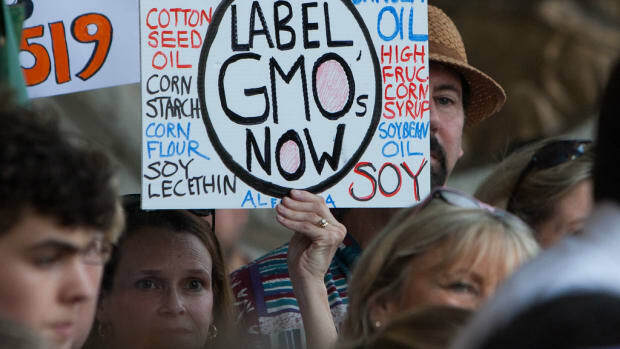 A lobbying organization that represents some of the most powerful food companies in the world has a secret plan to kill the growing GMO labeling movement once and for all. 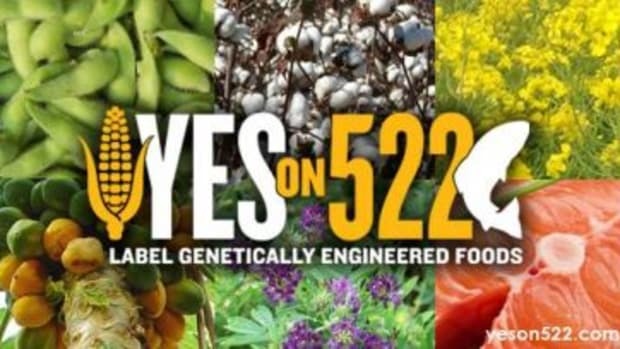 As the chances of 522 passing grew slim on November 5th, members of the "Yes on 522" campaign, which supports GMO labeling, remained optimistic. 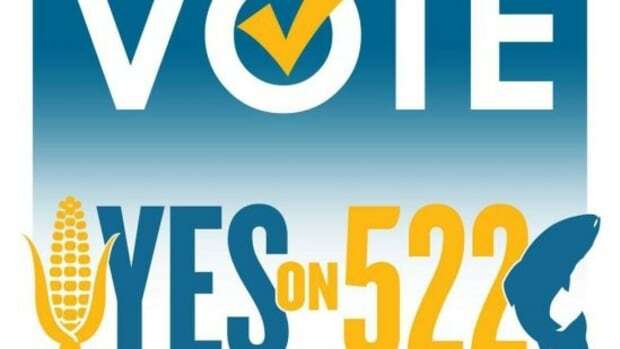 Again and again, we heard organizers say that even if 522 failed, similar measure were already in the works in other states, and it was just a matter of time before one passed. 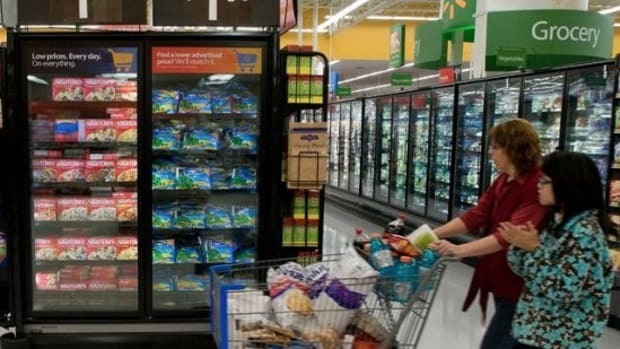 That reality is not lost on the Grocery Manufacturer&apos;s Association (GMA), a lobby representing more than 300 processed food companies like Barilla, PepsiCo, Kraft Foods, Kellogg, and yes, Monsanto. 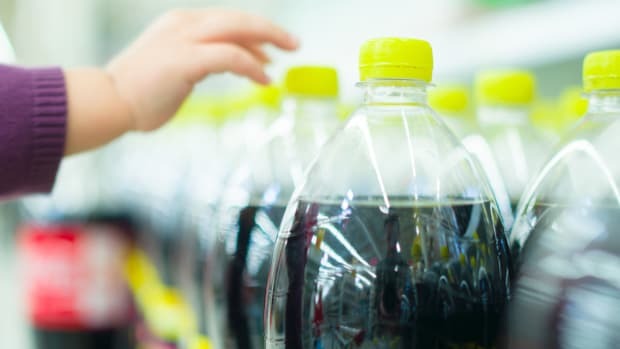 As Michele R. Simon, a public health lawyer and food blogger, revealed in a recent New York times expose, the GMA has a three-year plan to block labeling efforts across the country by seeking a permanent ban on mandatory labeling at the federal level. 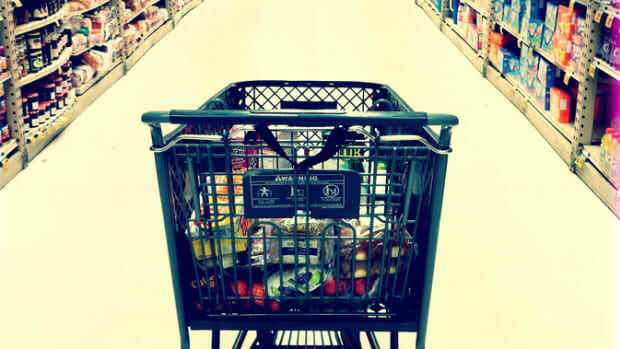 "As I explained back in February, the food industry’s ultimate game plan to stop the bleeding in the state-by-state onslaught of GMO labeling efforts is to lobby for a weak federal law that simultaneously preempts or trumps any state-level policy," writes Simon for Food Safety News. "While we have known that industry would want to put an end to the public-relations nightmare happening state by state, this document for the first time reveals the lobbyists’ specific strategy." Read the document here [PDF]. The GMA likes to claim that the failure of Prop. 37 in California and, presumably, 522 in Washington, mean that voters are soundly opposed to GMO labeling. However, critics say that it&apos;s money and not voters that are deciding these elections. Indeed, the GMA contributed a total of $11 million toward anti-522 campaigns in Washington, and questions have already been raised about whether they did so in a legal manner. 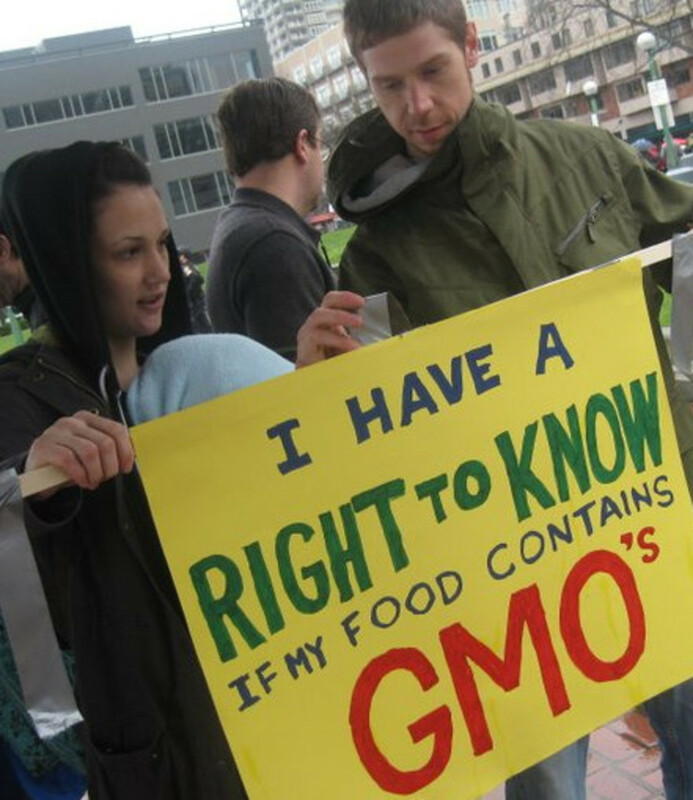 According to Simon, the GMA&apos;s brazen attempt to simply deny voters the right to even consider GMO labeling signifies how much they stand to lose if people are given a choice not to consume genetically engineered ingredients.